One of my guilty pleasures is sweets. I love dessert. I’m one of those people who enjoys desserts all the time. Like for breakfast. Yes, I admit it: My name is Chelsea, and I like to eat sweets for breakfast. One of my favorite sweet breakfast items is donuts. I could eat donuts all day, every day. However, there aren’t a lot of donuts that are low calorie. So, I set out trying to find a way to get the flavor of donuts into a low calorie treat. Easily, one of my favorite donuts is an apple fritter. I love apples, and I love the flavors of the fritter. So, I hoped to combine the flavors found in a fritter without all the greasy, fried donut part. Cookie batter can be made low calorie by some smart swaps. 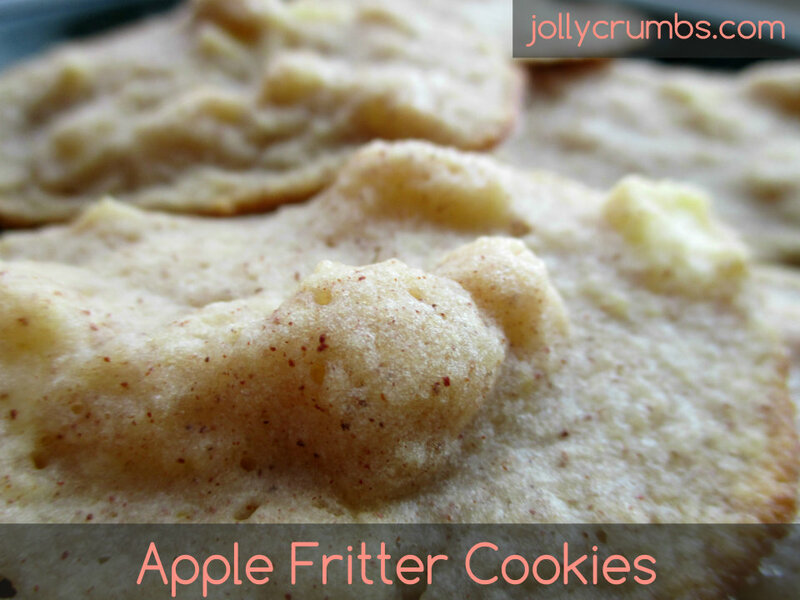 One of the easiest ways to get the flavors of an apple fritter was to put it in cookie form. Plus, how good does an apple fritter cookie sound? I was not disappointed with this cookie at all. Plus, it is very easy to make. No mixers or fancy appliances needed for this recipe. The first step is to peel a medium sized apple. I would go with a sweeter, crisp apple. I chose an Ambrosia apple. It is sweet, but it also holds up very well in baking. It still had some texture within the baked cookie. I used a regular vegetable peeler to take the skin off the apple. I then used an apple corer to get rid of the pesky core. From there, I simply diced on the apple. You don’t want the pieces too large, or they will not bake and the batter will be too liquid. I would do a smaller dice on them next time. The goal is to get a little bit of apple each time you bite into the cookie. I added just a little lemon juice to my apple pieces to keep them from browning while mixing up the batter ingredients. It worked perfectly. Next, you just combine all the dry ingredients, except for the Splenda and sugar. Just a simple whisk works well for this step. Then, toss in the apples and stir them so the flour mixture and apples are well mixed. For the wet ingredients and Splenda, I just mixed them in a bowl with a spoon. I used the whisk to make a well in the dry ingredients. This is easily done by stirring the whisk into the middle of the dry ingredients to make an indentation. Once you have the well, mix the wet ingredients into the dry until the batter is moist. Do not over mix the batter. Once the batter is mixed, you can either drop it into your muffin top pan, or you can drop it by the spoonfuls on your sprayed cookie sheet. If I had added more flour to the batter (which I regret not doing so I bumped up the flour in the recipe), it would be less runny and more dough-like. So expect the cookies to be firmer and denser when you spoon them out. I sprinkled actual sugar on the tops of the cookies before baking. This gave the cookies a nice crunch and texture. After that, pop them into the oven and enjoy the apple fritter smell while they bake! They are best eaten when cooled, but I sampled a warm one and lived to tell about it. These cookies are so tasty. Originally, I thought they would be thicker. With the addition of flour, they are. The apples are tender and soft inside these cookies. The cinnamon adds just the right flavor of an apple fritter. The cookies really do taste like the inside of an apple fritter. There isn’t a typical sweetness of a cookie. These could easily be eaten for breakfast; trust me I have experience in this. They aren’t as crisp as a cookie. They are softer than a typical cookie, and they do not have the same texture. Honestly they are a combination of a cookie and fritter batter. I love apple fritters, but I love that these are a lot less calories! Preheat oven to 350° Lightly coat a baking sheet or muffin top pan with nonstick cooking spray. Whisk together flour, baking powder, and salt in a large bowl. 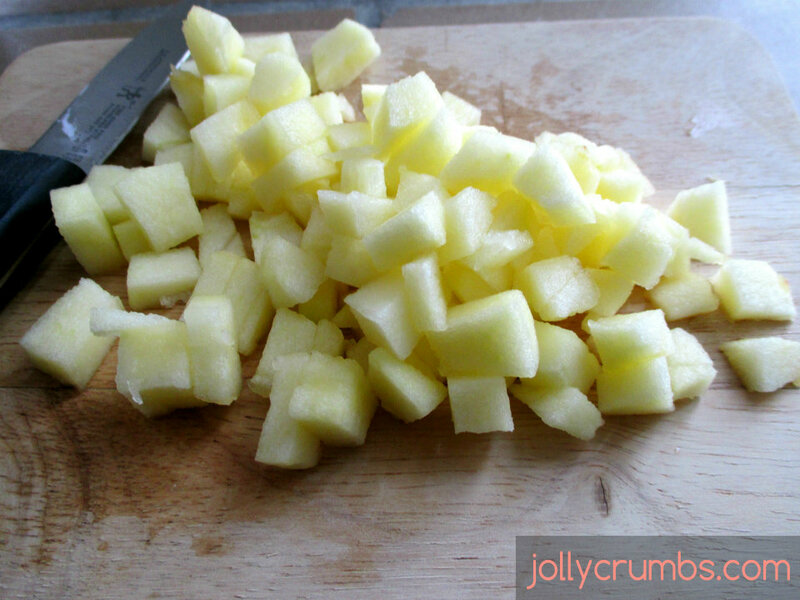 Stir in the diced apple until coated. In a separate bowl, stir oil, applesauce, milk, ¼ cup sugar, and vanilla together. Make a well in the center of the flour mixture, and pour in the wet. Stir until just combined and moist. Divide batter between muffin top wells, or drop batter onto the prepared baking sheet into blobs. Sprinkle tops of cookies with granulated sugar. Bake for 12-14 minutes. Cookies should not feel doughy. Cool on or in the pan for 5 minutes before moving cookies to cooling rack. Cool completely before enjoying. I used an Ambrosia apple in this recipe. Any sweet, crisp apple would hold up well in this recipe. I made these cookies today with some apples that were needing to be used. I used 3 medium size apples and doubled the recipe. They turned out great and tasted yummy.I mixed cinnamon with the top sugar and sprinkled cinnamon sugar on top of them. So glad you liked these! A cinnamon sugar topping sounds delicious on these!